Do you have a special project to complete that requires some glitter card, and you don't have any in your stash box....Oh! No! Well don't worry, here is a way to create your own and blend it to the job in hand. 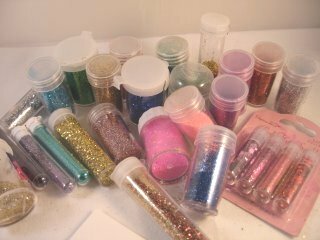 Most of us have collected, over time, some pots of glitter. Maybe they were small, free phials from the magazines we buy. Or just leftovers from other projects we have done in the past. And as cardmakers we have all got some double sided tape in our collection too. 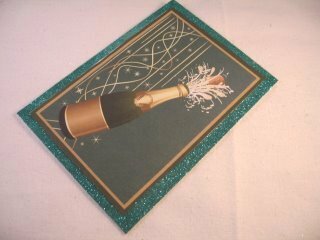 So why not marry the two together and create your own glitter card to use for Matting and Layering. 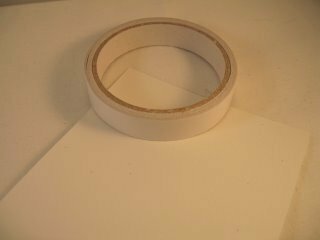 Take some plain white card and run the double sided tape along each of the outer edges. The tape I have used is 2cms wide to give me a nice wide border that I can trim if I need to. Place the card onto some cheap copier paper to catch the excess. 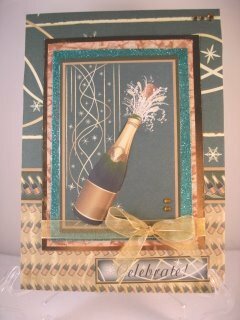 Sprinkle your chosen glitter onto the double sided tape and press it down with your fingers. 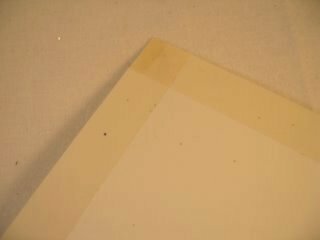 Then tip off the excess onto the paper, and make a crease in the centre. Sweep over the glitter with an old make-up brush. I use a small salt funnel to tip it from the paper back into the container. That way I don't use or lose much and it is ready to use again. Choose the topper you are going to use and add it to the glitter card, trimming a neat border around the outside edge if you need to. 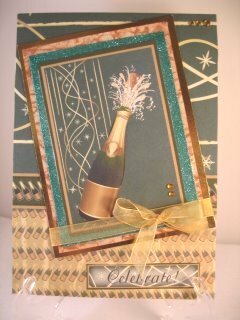 Then add it, at a jaunty angle, as a Card topper to your designs. 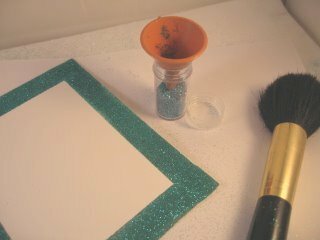 Making Glitter Card can solve some of your problems when you are stuck. It is a really effective way to use up odd bits of card and those tiny pots of glitter that we all accumulate in our ever growing stash box.